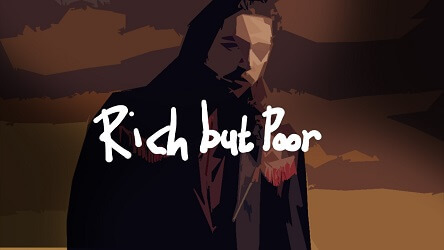 “Rich But Poor” is a dark Post Malone type instrumental with a sad vibe. This is the type beat you would pick to write a deep song to. In case you like what you here I have many similar type beats available for you. More Post Malone type beats and free downloads will be up soon. If you don’t want to miss a beat then bookmark this page or subscribe my Youtube channel.